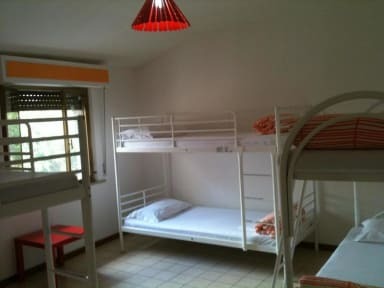 Hostel Easy Pisa i Pisa, Italien : Boka nu! 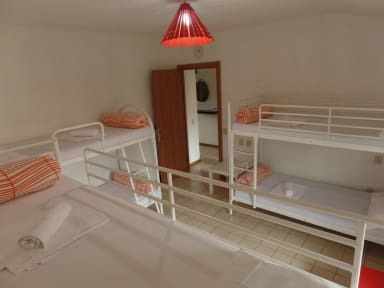 A small and nice hostel. Friendly staff. Valueable. Super cozy small hostel. There is only one dorm room, and the owners lives on the 2nd floor. Feels a bit like visiting your older relative, it's a calm, friendly and nice atmosphere. Always fresh coffee in the kitchen :) One bathroom shared with everyone which isn't the best solution but it's okay. Great location, close to everything and there is a supermarket just next door. Had a nice stay! I stayed here my last night in Italy. The Hostel was alright but the beds wasnt very comfortable. Alot of squeaking and people moving around kept waking me up. The owner was nice though. Nice and clean. Located a bit off but we didn’t mind to take a walk. It was a good stay for one night! Close to the supermarket and trainstation.